Health Costs > How Much Does a Full Body Scan Cost? How Much Does a Full Body Scan Cost? 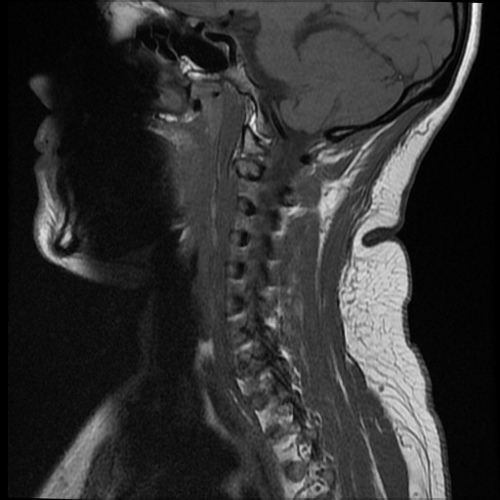 A full body scan allows a radiologist to non-invasively examine the entire body, with the exception of the brain in most cases, in detail for early stages of diseases such as heart disease and cancer. These non-invasive, painless imaging tests will take pictures of your entire body, and usually, a third party imaging center will advertise them. The cost of a full body scan will depend on where you live, where you have the scan and if you have insurance. On average, a full body scan, without any health insurance, can cost $500 to $2,000. CBS News, while they say this is a medical test you should probably skip, says a full body scan can cost about $1,000. Dr. Sanjay Gupta, according to his CNN chat transcript in the past, said you should be prepared to spend about $500. At Diagnostic Imaging Associates in Delaware, they charge $850 for a full body scan, which will include the lung screening and cardiac scoring. According to their official website, no insurance companies will cover the cost of the screening because clinical trials examining the effectiveness have yet to be published. Before the scan, you will be asked to take off your clothing and wear a gown, just like an MRI scan. While the technology varies, WebMD says the vast majority of centers that use this technology will use a CT scan to examine your entire body such as your heart and lungs, but at some centers, they may also use a PET (positron emission tomography) scan. While inside the machine, an image-like device will rotate as it captures images, often combining multiple x-ray images with the aid of a computer to produce a cross-sectional view of your body. The scan, on average, can last 10 to 20 minutes. After the scan, a radiologist and doctor will study the results. In most cases, the radiologist will be able to discuss the results briefly, but in most cases, you will have to wait for two to three days for the full results. If the results are positive, then the center will recommend you to a specialist to discuss your results. A positive result isn’t always a diagnosis of a disease; it simply means there may be an indication for further follow-up tests to confirm the factors found in the results. As mentioned, if the radiologist had found positive results, then they will refer you to a specialist for a follow-up visit to discuss your results, increasing the costs. The costs, effectively, will greatly depend on the follow-up visit cost and the course of action taken. Studies have said nearly one-third of those who have had a full body scan needed unnecssary follow-up imaging tests. The American College of Radiology does not believe there’s sufficient evidence to justify recommending a full body CT scan with no symptoms or a family history suggesting a disease. In fact, if you research a full body scan, many doctors advise against this type of scan since there’s very little evidence, especially if you’re a healthy individual with no worrisome symptoms. ChoosingWisely.org, for example, found out, that in less than two percent of scans, a whole-body scan was able to find a cancer tumor. The CBS News article cited above states that a full body CT scan can expose patients to far more radiation than the conventional x-ray. These scans, regardless of the method the center uses, will use a lot of radiation. A third party facility will always be cheaper than a hospital, but 99 percent of the time, a hospital won’t offer this service. When comparing quotes, be sure to focus on these free standing centers to maximize your savings. If you’re sure you want a full body scan, it also doesn’t hurt to look for any promotions. For those who have health insurance, be sure to check with your policy. More than likely, a full body MRI is going to be covered as long as it’s deemed medically necessary and is warranted. Dr. Sanjay Gupta, for example, says an insurance company will look for an existing condition which warrants a CT scan. For those who do not have insurance or are looking for a new policy, consider browsing through hundreds of policies for free at eHealthInsurance.com.